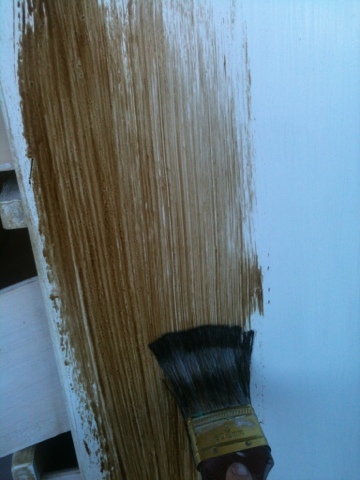 This technique is like "whitewashing" but using stain over the paint to create a darker washed over look... So I call it "Stainwashing". First you paint the item with a semi-gloss acrylic latex paint. I like the semi-gloss because it washes over nicer with the stain. You may use a matte if you would like a less streaky look. 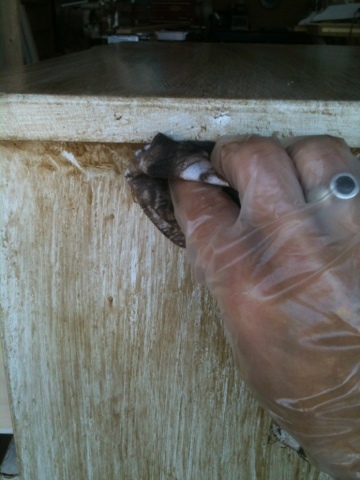 Let it dry completely before using the stain. 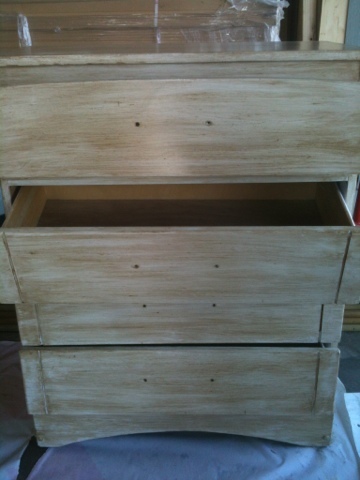 The stain I used is Minwax poly shades in Mission Oak. This one has a not so dark look but still creates a washed over streak. Using a regular paint brush, quickly paint over an even stoke over one surface. It good to start on a small part and work to the bigger areas so you can get the hang of it. The stain dries pretty fast and you will need to work quickly. 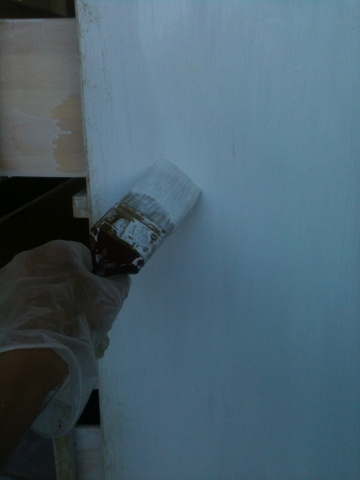 When you have the area covered, take a cotton cloth and gently rub the stain in long even strokes. 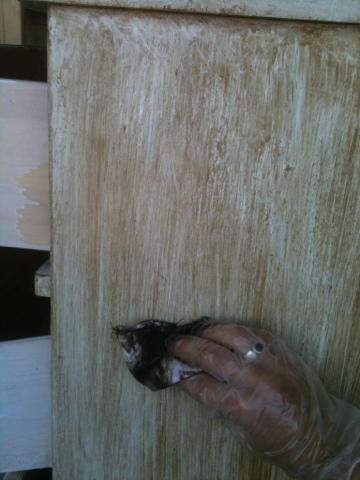 This will "rub" the stain in and create the Stainwashed look. You can do a couple coats if you wish, just be sure to let the first coat dry. 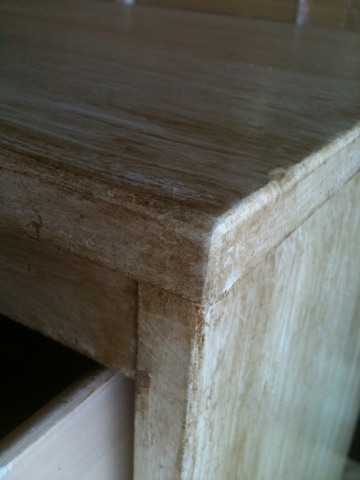 Be careful of corners and cracks as the stain will gather there, I "dabbed" with the rag in those areas so that it didn't appear so much darker where the stain pooled. Let it dry and put on your handles!